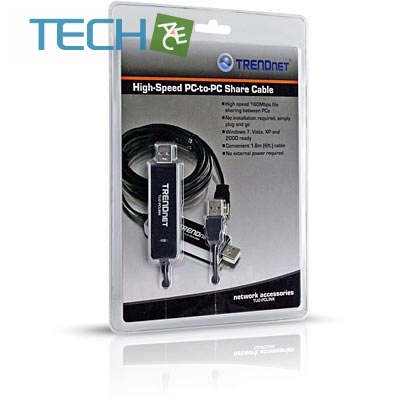 Sharing files between Windows based computers is made easy with the High Speed PC-to-PC Share Cable, model TU2-PCLINK (to share files with Mac computers buy TRENDnet’s TU2-PMLINK). No installation required. Simply connect both computers with the 1.8m (6ft.) cable and an icon automatically appears. 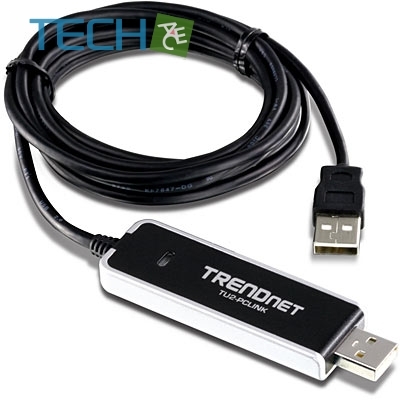 Launch the dual file share windows and drag and drop files over the high speed 160Mbps USB 2.0 connection. It’s that easy! Gone are the file size limitations and hassle of transferring files using CDs, DVDs or USB drives. No external power is required, power is provided by the connected USB port. Drag and drop HD movies, music and more from one computer to the other—fast.